Today's Loyalist PR Graduate Profile features Elizabeth Edwards (2016/17) who is now employed as the Social Media and Public Relations Assistant for the Constituency Office of Member of Parliament Kim Rudd in Cobourg, Ontario. 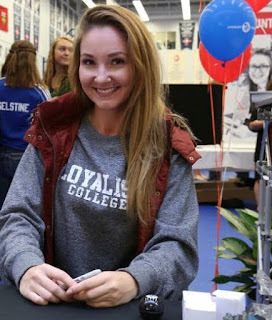 Prior to enrolling in the Post-Graduate Public Relations & Event Management program at Loyalist College, Elizabeth completed a diploma in Business Administration at Loyalist College. Loyalist PR: What made you decide to enroll in the Post-Graduate PR & Event Management program at Loyalist? Elizabeth Edwards: Nearing the end of my business program I was still trying to figure out where I wanted to go from there. 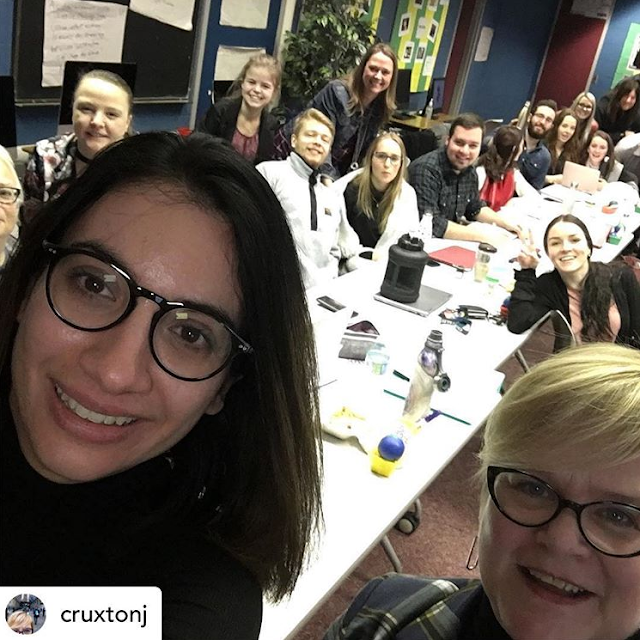 One of my classes in the business program was titled Professional Development and was a class that provided resources and options for students upon finishing the program and it included a few presentations on some of the post-grad programs offered at Loyalist College. I debated a few different options, but when the Public Relations post-graduate program was presented to me I knew it was the right decision for me and I applied before class even ended. Loyalist PR: Could you describe your duties in your new job as Social Media and Public Relations Assistant? Elizabeth: My position consists of maintaining Ms. Rudd’s social media presence, organizing her appearance at events when she is back in the riding, often attending these events with her and occasionally attending these events in place of her with remarks. I also assist in working with constituents that come to the office for help with federal government related inquiries and I have made occasional trips to Ottawa to assist Kim with caucus meetings, briefings and Question Period Preparation. 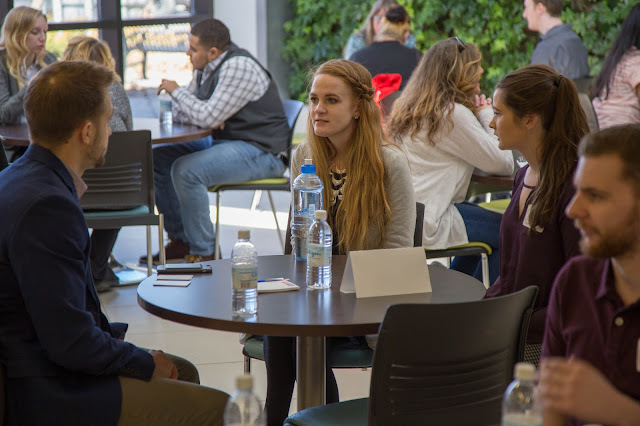 Loyalist PR: How did the PR program help prepare you for your current position? Elizabeth: Loyalist PR provided me with the skill set, the resources and the confidence to be able to transition smoothly from college into a working environment. Loyalist PR: What was the highlight of your year in Loyalist PR? Elizabeth: My year in Loyalist PR went so quickly that it’s difficult to pick a specific moment. The entire year was filled with amazing opportunities and I was able to meet so many new people. I found that in the last two weeks before we left for placement it was the time that we were really able to reflect back on the year we had together as a class and what we had learned. In this time we really got to know each other even better before we all ventured off to our placements and to the beginning of our careers. Loyalist PR: Any words of advice for the new Loyalist PR students arriving this September? Elizabeth: Always be prepared for anything; you never know when something will go wrong or if an amazing opportunity will surprise you, but you want to be ready for it. Don’t be shy; go out to events and meet new and influential people in your community, make sure you ask for their business card and don’t be afraid to email them after telling them how nice it was to meet them. Lastly, don’t take the resources that you have been given for granted. Each professor, every PowerPoint or template and every individual you meet through the program will be your resource. There will always be an opportunity later down the road that one of these resources will be of immense help, so don’t forget to use it! Loyalist PR: We're so proud of you, Liz -- you're going to do amazing things!